On March 9, Connecticut State Police reported that an unidentified woman jumped from 1-95 northbound overpass. Police have since identified the victim as 27 year old Abbey Meany of Stamford, CT. According to police, the medical examiner will determine cause and manner of death. This remains an active investigation. 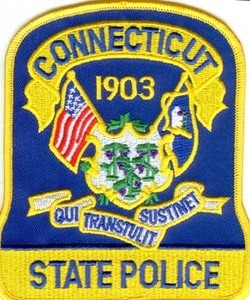 Connecticut State Police report that today, March 9 at approximately 11:45 am, an unidentified woman jumped from the 1-95 northbound overpass (exit 9) in Stamford and came to a rest in the left lane. She died from severe head trauma, police say. According to the police report, the unidentified women appeared to be Hispanic, approximately 5 feet 4 inches tall with long brown hair and brown eyes. She had a freckled face and was wearing dirty white Sketcher- style sneakers, a grey hooded sweatshirt with an "American Eagle” logo on its front. She was wearing black yoga spandex pants. Her ears are pierced but she was not wearing jewelry. She did have two hard bands around her wrist. If anyone has any information pertaining to this incident, please contact Troop G in Bridgeport at 203-696-2500. The case report will remain open for further investigation.